Information on how to properly set up your X-TERRA, how to better understand its functionality and how to maximize its performance for specific sites. This makes sense with the new Equinox 600 coming in at $649 and Equinox 800 at $899. The X-Terra 705 can be had standard with a 7.5 kHz 9" round concentric coil for $499 or you can also get it standard with a 18.75 kHz 5.5" x 10" elliptical DD coil for $499. The higher frequency elliptical coil variant is known as the X-Terra 705 Gold. Note that the X-Terra can change frequencies by changing coils so owners of either version can have the other by buying the appropriate coil. I don’t think there is another detector out there that matches the X-Terra 705 for features at $499 and it has an excellent threshold based all metal VLF Prospecting Mode. In particular the X-Terra 705 has every ground balance option possible - Ground Grab, Manual Ground Balance, and Ground Tracking with Tracking Offset. It also has a special Beach Mode that allows it to properly ground balance to wet salt sand conditions. The $500 segment is really heating up! 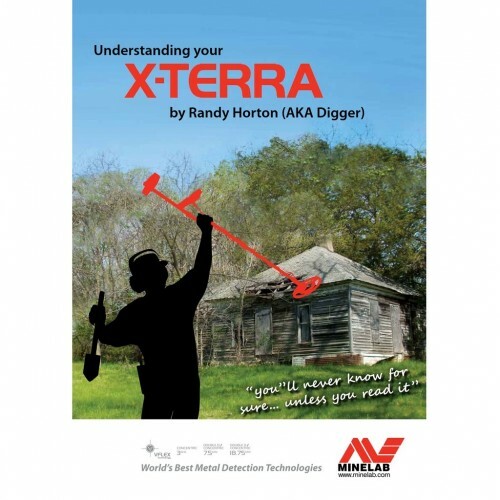 Understanding Your X-Terra by Randy Horton is a free 95 page color booklet on how to get the most out of your Minelab X-Terra but with information that owners of any metal detector will find valuable. X-terra 505 Not For Prospecting? Minelab's site/advertising lists the 505 applications as "coin, relic, jewelry and beach". For the 705 it adds "gold prospecting". But when you look over the details and specs for the two instruments, it's hard (for me) to see the distinction. Both have all metal mode as well as discriminate mode. Both operate at 3 kHz, 7.5 kHz, and 18.75 kHz (all determined by the coil you choose to attach). Both have manual ground balancing (705 also has automatic and tracking in addition). Both have adjustable threshold and adjustable sensitivity. Both have fine-tunable frequency to eliminate EMI. The Minelab site list something called "detect modes" where the 505 says (1) "Coin and Treasure" while the 705 lists (2), that plus "Prospecting". Are these preprogrammed setup options? For some of the adjustable settings the 705 has higher precision than the 505. An example is the Ground Balance where the 505 says "0 to 50" and the 705 "1 to 90". Sensitivity is another example: 1 to 20 vs. 1 to 30. Pinpointing is more detailed on the 705, and the 505 doesn't have backlighting. Discrimination divisions can be configured to a higher level (iron mask on the 705 and more segments). So, yes, the 705 does have more detailed features. But what distinguishes the 705 as a prospecting detector compared to the 505 (for which the Minelab site's implication is that the 505 isn't a prospecting detector). And if one were to compare the 505 to competition from Garrett (AT Gold) and Fisher (Gold Bug family) to name just two, what makes those prospecting detectors and leaves the 505 in the "coin and treasure" (only) category? BTW, I did read Randy Horton's "Understanding your x-terra" monograph and he does talk about the prospecting mode of the 705, but it's not clear that one couldn't configure the 505 to be close to these settings.